Our experienced multidisciplined directors use their extensive contact base and knowledge in order to choose the most appropiate financers and property professionals to best suit the clients needs. Paul has 23 years experience in banking and property lending. Before co founding GDP Funding in 2007 he headed up the Manchester office of Nationwide Commercial Finance for over 10 years and developed it into the best performing unit in the country. Prior to Nationwide he spent 10 years in small business and corporate banking at Barclays Bank. As founding partner of GDP Funding, used detailed understanding of the continuing evolution of the property and lending market to provide debt consultancy and new funding advice. Initial role with Nationwide Building Society focused on management and recovery of distressed debt situations. Established Nationwide Building Society Commercial Lending office in Manchester responsible for a team of 20 and directly controlling the management of a loan book of over £1Bln with minimal payment arrears. As part of Nationwide Commercial’s senior management team influenced the strategic direction of the property lending business including determination of credit appetite and lending criteria. Originated and coordinated a number of significant investment lending transactions including numerous syndicated facilities in the UK and Western Europe for Nationwide. Experienced in strategic management and control of an investment property loan portfolio and provision of detailed management information. In depth knowledge of the property banking sector and risk assessment criteria. Extensive network of property professionals, senior bankers and property investors. Established expertise in assessment of lending risk through in depth analysis of property fundamentals, borrower credentials and asset management strategies. Understanding of all technical and legal aspects of banking and property due diligence. Gareth is a chartered surveyor who spent the first 7 years of his career in London with Montagu Evans and St Quintin before moving to Manchester in 1997. 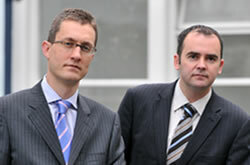 Following his appointment in 2004 as head of North West Valuation, CB Richard Ellis, his team was recognised as one of the region’s leading valuation departments. He co founded GDP funding in 2007. As a founding partner of GDP Funding, originated and coordinated new loan facilities with major UK lenders. Previously Head of CBRE North West Valuation team – Managed a team of 12 in Manchester and Liverpool offices carrying out in excess of £2 billion per annum of commercial and residential valuations on behalf of lending institutions and pension/ life funds. Controlled significant single asset and portfolio valuations between CBRE regional and London offices for loan security purposes on behalf of all major lending institutions. Responsible for co ordination of national monthly and quarterly valuations on behalf of a number of leading institutional funds, each in excess of £500m. Detailed knowledge of the national property investment market. In depth understanding of asset management angles within property portfolios. Understands all technical and legal aspects of property valuation and associated software allowing detailed analysis of valuations. Benefits from high level contacts within leading valuation firms, investment agents, property lawyers and lenders throughout the country.